Elite Racing Club has enjoyed immense success since the Club was launched at the end of 1992. The Club has so far achieved more than 380 winners on the Flat and over Jumps across the United Kingdom, in Ireland and France. 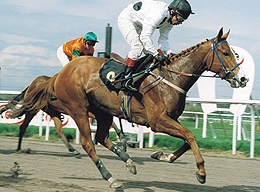 The first horse to be purchased was the steeple-chaser, LUMBERJACK (trained by Charles Egerton), who set the ball rolling as our first-ever runner at Newton Abbot in January 1993, where he finished a respectable second. Within a month of that debut, we had chalked up our first winner with our second purchase, KABAYIL (Charles Egerton), who won a mares' novices' hurdle at Plumpton. This was our first milestone and the relatively small membership was thrilled. Nobody had any idea that it would be the start of one of the biggest success stories in British horseracing. 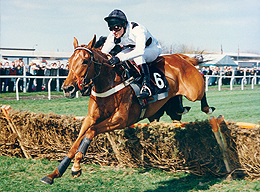 In March 1993 things started to become more ambitious and the quality chaser STURRUP CUP (Charles Egerton) was purchased, who returned our faith with the Club's first high-profile win. He won the Singer & Friedlander Chase at Uttoxeter, which was the feature race of the meeting and was televised live on Channel 4 Racing. 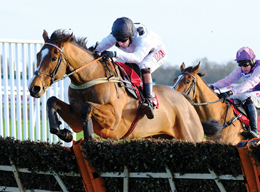 However, it wasn't until the following season that the Club's boldest early purchase was made, in the form of emerging National Hunt sensation, MYSILV (Charles Egerton), who had won the previous season's Triumph Hurdle for David Nicholson. She was owned by the Million In Mind Partnership, whose policy it was to sell every horse they have at the end of the season. Mysilv cost £162,750 and created a world record price for a National Hunt horse in training, making the news headline material for the racing media. Mysilv also raised the profile of trainer Charles Egerton and she went on to record our first Graded win in the valuable Champion Hurdle trial, the Tote Gold Trophy at Newbury (now the Betfair Hurdle). 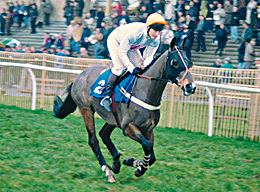 After an anxious wait to see the Club's new purchase run at Kempton's Boxing Day meeting in December 1994, the race proved a surprising anti-climax, as Mysilv finished last of the six runners in the Christmas Hurdle. Despite this poor display, Charles Egerton was convinced this huge investment would pay off and how right he was. Just a few weeks later she won at Cheltenham, steered home by Norman Williamson. Mysilv continued to raise the profile of the Club throughout her career, winning several races and most notably coming a close second to Cyborgo in the Stayers Hurdle (now the World Hurdle), just two days after finishing sixth in the Champion Hurdle. She later went on to finish runner-up in the French Champion Hurdle at Auteuil, watched by a coach-load of Members who had made the journey to the beautiful Parisian venue. Developing a breeding programme seemed to be a natural progression for the Club to help find another star, and to combat the crazy prices paid for yearlings at the sales. However, this was new territory and the management team were understandably cautious prior to investing in the project. In December 1993, the Club purchased a mare named CORMAN STYLE, who was in foal to Primo Dominie. Her price tag was a mere £5,775, and she was sent to Maurice Camacho, a reputable trainer/breeder in Malton, North Yorkshire. Since then, we have discovered she could not have been in better hands, as Maurice's nurturing talents have been fundamental in the Breeding Programme ever since. 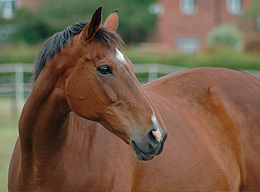 In April 1994, the Club's first homebred foal was born. The filly foal was named DOMINO STYLE (Maurice Camacho), which added a new dimension to the membership package. Members could see this foal being raised throughout its career, from the first few months of life right through to the racecourse itself. Her career from day one was described with a great narrative by Maurice Camacho, whose excellent reports still grace the magazine to this day. This new interest available to Members meant that the Club was now able to provide an all-round interest in the horseracing industry, which appeals to a large percentage of the membership. Domino Style finished unplaced three times and was soon retired in 1997, so another, better quality broodmare was added to the breeding programme. DIXIE FAVOR was purchased in foal to Statoblest and, in March 1998, the result of this covering was named STATELY FAVOUR (Julie Camacho), who created another major milestone for the Club when he won at Southwell, ridden by the late Lindsay Charnock. Achieving our first homebred Club winner was a huge boost for our fledgling Breeding Programme, which was some compensation for the tragic news suffered just over a year earlier, when Mysilv had died as a result of a freak accident on the gallops. Mysilv had naturally always been considered a potential broodmare by the Club, so her loss was monumental. However, on the back of Stately Favour's breakthrough win, we were keen to see more winners emerge from the Breeding Programme, so we set about further improving the quality of the broodmares. Meanwhile, one of our yearling purchases, KALINKA (Paul Cole), achieved a rating of 86 on the Flat after winning her maiden, before finishing fourth in a Listed race. The decision was made to introduce her to our Breeding Programme, which proved a pivotal move in Club history and earned the Club international recognition. Kalinka's second offspring was the brilliant superstar filly, SOVIET SONG (James Fanshawe). Between 2002 and 2006, she captivated Elite Racing Club Members with brilliant performances, winning nine races from 19 starts, including five wins at Group 1 level, and was the Club's first Classic runner when she finished fourth in the 1,000 Guineas in 2003. Her £1,168,670 prize money was distributed amongst delighted Club Members. She took us to places that neither the management nor Club Members could ever have dreamt of going, starting with her first Group 1 win in the Fillies' Mile at Ascot as a two-year-old. Soviet Song failed to win as a three-year-old, but returned the following year and was quite simply incredible. After two surprising defeats in the spring, she won four of her next five races, including the Falmouth Stakes (after a neck defeat in the Queen Anne Stakes at Royal Ascot), the Sussex Stakes and the Matron Stakes in Ireland. She returned to win the Falmouth Stakes again the following year, before winning the Windsor Forest Stakes at Royal Ascot in her final season. Kalinka remarkably produced a Grade 1 winner with her next foal, and also provided the Club with its first Cheltenham Festival winner. 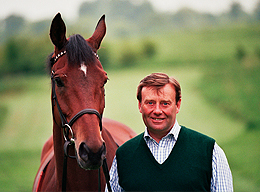 When she produced a colt by Pennekamp in 2001, we named him PENZANCE (James Fanshawe/Alan King). He was a winner first time out for Newmarket trainer, James Fanshawe, who had handled his half-sister so successfully. It was the switch from the Flat to hurdles that would give the Club another high-profile winner, as Penzance progressed through the ranks with finesse to win the ultra-competitive Triumph Hurdle in 2005. Always playing second fiddle to our star performers was a colt out of our very first winner, Kabayil, who was very versatile on the racecourse. The highlights of DANCING BAY's (Julie Camacho/Nicky Henderson) career were when finishing fourth in the Group 1 Prix du Cadran on Arc day at Longchamp, when just beaten in the Group 2 Lonsdale Stakes at York's Ebor meeting and when finishing second at Royal Ascot. His finest hour over hurdles came when finishing second in the Coral Cup at the Cheltenham Festival when trained by Nicky Henderson. He was trained at Seven Barrows during the latter part of his career, having began life and his training career with the Camachos in Malton, where he was bred. Dancing Bay retired in 2007 as the winner of eleven races, and achieved the remarkable feat of winning on the Flat, over hurdles and over fences at Fakenham in his final season. Dancing Bay retired to the Camacho's Star Cottage and is still paraded for Members at our annual visits to the stables. Another immensely popular Club horse at this time was NEW SEEKER (Clive Cox), who became our first Royal Ascot winner in 2003, when blazing a lone trail down the far side to land the Britannia Stakes. He returned to Ascot the following month to win the very valuable International Handicap. The following season New Seeker failed to win, but returned to Royal Ascot the year after (run at York that year due to redevelopment) and set a strong pace to land the Royal Hunt Cup. He also won three Listed races for the Club, and nearly £400,000. Complimenting the Kalinka line, FFESTINIOG (Paul Cole) emerged as our most consistent broodmare with a most phenomenal record. Her second foal, EISTEDDFOD (Paul Cole), won twelve races, which remains a Club record. In a lengthy and glittering career, Eisteddfod's greatest hour came in the Group 3 Prix De Meautry in 2005, as well as two further wins in Listed races. Other Members of his family includes BRECON BEACON (Paul Cole), who was placed at Royal Ascot on two occasions, and BORDER PATROL (Roger Charlton). Border Patrol's career was sadly cut short with soundness issues, but not before he had won two Listed races and the Group 3 Solonaway Stakes at The Curragh in 2009. Ffestiniog foaled ten individual winners from eleven foals during her superb career, so it was fitting that one of her sons, Llewellyn, should become the Club's 300th winner, and also our 100th homebred winner in 2012. After the retirement of Eisteddfod and Border Patrol it was DANDINO (James Given/James Fanshawe) that flew the flag for the Club at the highest level. He first came to the attention of the public when winning at Epsom on Derby day. He supplemented this popular success with a Royal Ascot win in the King George V Handicap before lining up for the St Leger at Doncaster. He failed to stay the distance at that stage of his career, but earned an invitation to the Japan Cup, something his trainer, James Given, was keen to exploit. Dandino finished just out of the money in the £4m race, but was hardly disgraced, being beaten just six lengths. A year later he returned to win the Group 2 Jockey Club Stakes at Newmarket, and the following season he won the Group 3 September Stakes and was narrowly beaten in the Canadian International at Woodbine. Dandino showed incredible longevity throughout his career, which ended in 2015 for new owners in Austraila, where he now stands as a stallion. The same season as Dandino became our second runner in a Classic, MARLINKA (Roger Charlton) emerged as a talented two-year-old with a thrilling burst of speed. Trained by Roger Charlton, she won three races, included a Listed race in France and retired to the Club's Breeding Programme the following season. Her first foal, JUDICIAL (Roger Charlton/Julie Camacho), also has plenty of speed. He was unbeaten in three starts as a two-year-old, and broke two track records when winning three races as a five-year-old. Judicial is currently the only horse to complete Beverley racecourse in under a minute, which was quite an achievement to break such a long-standing record! Although Kalinka sadly passed away in 2014, her legacy continued through the Group 1 winner RIBBONS (James Fanshawe). Ribbons was a grand-daughter Kalinka, out of Soviet Song's ill-fated sister, SISTER ACT (James Fanshawe), who had always been held in the highest regard, but had too many physical problems to fulfil her potential. She managed a solitary maiden win during her own career, but Ribbons was a different story. She remained unbeaten in her first four runs, before progressing from finishing third in a Listed race and being beaten in a handicap to winning the Group 1 Prix Jean Romanet at Deauville's August meeting under Frankie Dettori. Ribbons was then just beaten in the Prix de l'Opera on Arc day at Longchamp in front of a full house, including a touring party of Club Members, who had made the journey as part of the Club's visit, organised for us by Horseracing Abroad. Ribbons added the Group 2 Blandford Stakes to her CV in 2015, having run superbly in defeat in the Pretty Polly Stakes at The Curragh behind Diamondsandrubies and three-year-old filly of the year, Legatissimo. There was further excitement for the Club when ZEST (James Fanshawe) became the first winner out of Club broodmare, AFFINITY. Affinity was a half-sister to Soviet Song and Penzance by the legendary Sadler's Wells. Affinity won a maiden and was placed several times for Sir Henry Cecil in a fairly brief career before joining the Breeding Programme in 2011. 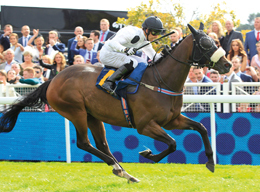 Zest won a maiden in the autumn of 2015 and became the Club's 350th winner when winning a fillies' handicap at Nottingham during the summer of 2016. The Club has been lucky enough to have a horse in training with Sir Mark Prescott for the past few seasons, with Sir Mark proving to be hugely popular with the membership. The Master of Heath House unleashed MARSHA (out of Marlinka) late on in the summer of 2015 to win two races, before she finished third at Dundalk. 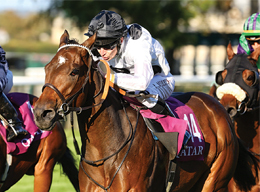 In 2016, once being dropped back to five furlongs, Marsha revealed incredible speed when winning two Listed races and the Group 1 Prix de l'Abbaye at Chantilly, in front of a crowd of Club Members who had travelled to watch the Arc de Triomphe meeting on a visit organised by the Club. Marsha became the Club's third individual Group 1 winner, joining the illustrious pair Soviet Song and Ribbons. Marsha's finest hour came when beating hot favourite, Lady Aurelia, in the Group 1 Nunthorpe Stakes at York's Ebor meeting. She came with an astounding late run to catch Lady Aurelia in the shadow of the post, which was undoubtedly one of the most exhilarating races of the calendar year. Marsha then finished runner-up on soft ground in the l'Abbaye and then became the Club's first runner at the world-renowned Breeders' Cup meeting, held in 2017 at Del Mar, San Diego, where she finished sixth. Many Members made the trip to the States to see her run her last race in Club colours on the biggest stage possible. In December 2017, Marsha was sold at auction for a new European record of six million guineas. Looking ahead, the future of the Club looks very bright, as we have three of Marsha's siblings in training, plus Judicial. Her year-younger half-sister, Marseille, has won and been placed several times, while her half-brother, a colt by Cape Cross called Magistrate, is in training with James Fanshawe, but is yet to run. A juvenile filly by Iffraaj will join MARSEILLE at Julie Camacho's for the 2018 season. Judicial remains in training and has a realistic chance of becoming the Club's winning-most horse in time. The nine-race winner broke two track records in 2017 and was placed in Listed company. ELGIN won a Listed hurdle before enjoying his finest hour with a gritty win in the Greatwood Hurdle, a valuable Grade 3 contest at Cheltenham, where he could return in March if all goes to plan.